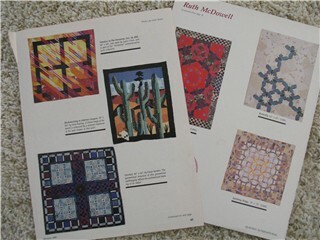 Kay of outofthebasement did a nice review of quilting magazines called What Should Quilters Read? 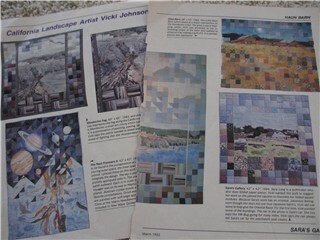 I mostly agree with what she said but I wanted to add some comments on my favorite magazine; Quilting International. 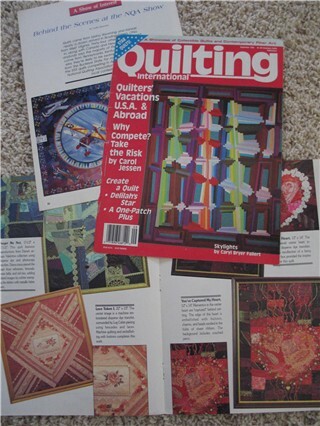 Quilting International was a magazine that used to be published back in the early ’90s. Does anyone else remember it? The fine print says that it is an All American Crafts Publication. 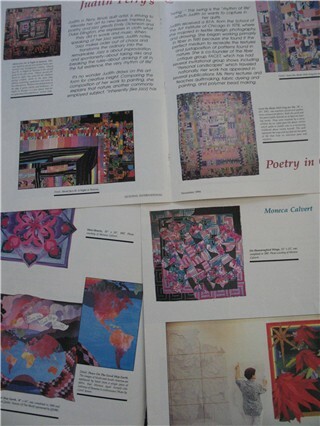 A search of All American Crafts Publications website did not turn up any mention of Quilting International. So I assume it is no longer being published. I know I have not seen it lately. Nor have I seen any other magazine that I enjoy as much. 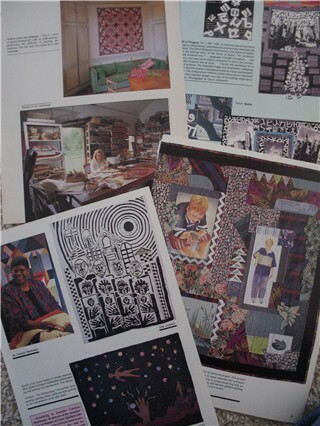 Every issue was packed with inspiring photos of the quilting being done around the world. And all of the work was original and creative. This is where I became familiar with names like Nancy Crow, Ruth McDowell, Ellen Anne Eddy, Nancy Halpern, Vicki Johnson and more. The photos inspired me to spend every minute that my toddlers were napping at my sewing machine with the belief that I could do that too. This magazine probably did more to shape my work today than any other book or magazine. I applaude the folks that put it together. 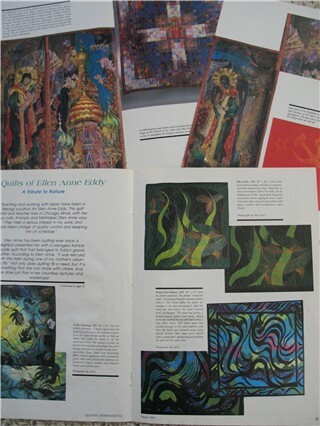 I wasn’t following quilting at that time, but this does look like a wonderful magazine. What a shame an equivalent publication isn’t being produced now. Thanks for the information! Me too. It looks like a magazine I would really get something from. Maybe someone will decided to follow it’s style before too long, after all everything comes arround in cycles doesn’t it. I would’ve enjoyed those photos. It’s always nice to find something that inspires you.